Earlier this year a promising press release was dropped on the music scene that's still got people talking about the future possibilities it could bring. Slowtrain Records' announcement that it was officially becoming a record label piqued the interest of the community from venues to radio DJ's to musicians. The idea of a store, which has helped pushed local and Indie music to the masses and earned a trusted reputation in its own right, now promoting its own choice of music for fans to collect and check out while musicians could find a new home for dedicated listeners. --- But with any venture its no easy task, and the demand has become high for the married owners to take on. And as we patiently await their debut release (which will be the latest from The Devil Whale), we took the opportunity to find out more about it. Today we chat with Anna Brozek about how the store has been doing, the label and their releases, thoughts on local music and a few other topics. Along with some pictures of the store for those of you who haven't been in lately. Gavin: Hey guys, how have things been for you so far this year? Anna: This year has been really great. Business is steady, we've had a fun time, and so far the music releases have been amazing. Gavin: You recently celebrated the shop's fourth anniversary. How does it feel having survived the economy and remained a community supporter? Anna: Honestly it feels a bit surreal - and we're just incredibly grateful for everyone who has supported us and kept us in business. It hasn't been the easiest time to own a business, especially a record store - but obviously the community finds value in what we do, so our goal is just to keep on trying to make SLC the best place it can be. 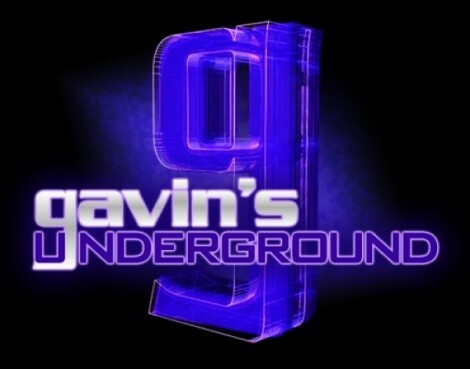 Gavin: You recently turned the area into the Subterranean Lounge. How has that worked out for you guys to have you own venue just below? Anna: Subterranean is technically not a venue or a lounge. We just called it that on Record Store Day because we had a temporary beer license down there and it had a nice ring to it. Subterranean is just an extension of Slowtrain without the inventory, for now. We use the space for specialty events that are important to Slowtrain. But we're not "booking" shows down there by any means. Gavin: Something else to note is the increase in vinyl in the store over the past couple years. What made you decide to include it as part of the products, and how have people responded to it? Anna: We've had vinyl in the shop since we opened. There wasn't a specific decision to include it - it just made sense to us. An independent record store without vinyl just didn't feel right to us, it was never an option not to include vinyl. Our customers have always responded well to vinyl. We've definitely seen sales increase over the last year and a half - that has a lot to do with more available titles on LP and new consumers discovering their love of vinyl. Gavin: The obvious big thing to talk about is the new label. How did the idea come about to start it? Anna: We were encouraged by a lot of friends to start a label - but we never took the idea seriously until we visited Mississippi Records in Portland, Oregon. Mississippi is a record store and record label - they produce limited runs of vinyl and sell them at an affordable price, they are almost instantly collectors items. That style of producing records seemed more interesting to us. We wanted to use our position in the music community to create collectible works of art. Our plan is to have all of our pieces done in very limited runs on colored vinyl with unique album artwork and the music also included on CD or download, we're really striving to create a special piece of art. Gavin: Was there any real hesitation on your part to do it, or did it feel more like a natural progression for the business to go that way? Anna: There was a lot of hesitation - and still is. Producing vinyl is really expensive and is very risky for us. But it really seems like something that this community wants, so we're stepping in to provide it. Gavin: With all the musicians in the state, what drove you to work with The Devil Whale first? Anna: The timing was really right for this record to be our first. When we decided to jump in and do this, The Devil Whale was already recording a new record that was scheduled to be due out in the fall of 2010. That gave us time to plan and prepare and raise some money. Plus it is extremely important that we are able to sell out of the LP, we can't afford to sit on extra inventory. And we knew from experience with selling The Devil Whale's CD that they could easily sell through this LP for us. Plus we're big fans of the band and know that they are incredibly professional and great to work with. Gavin: Will you just be putting out the album, or will you also be doing stuff like promotions, a tour, videos, etc? Gavin: You also recently revealed that you're going to release Alexis Gideon's next album. What are the plans for his release? Anna: We'll be putting out Alexis' amazing work on double pink vinyl with a DVD inside. It will also include a download version of the music too. It is going to be incredible. He'll be here September 18th & 19th playing a couple shows in town to promote the release and sell some pre-order versions of the work. Gavin: Do you have any other artists you're looking at or have line up already, or just playing things by ear at the moment? Anna: Right now we're not looking past Alexis Gideon's release. Between the two bands and the record store we've got enough on our plate to keep us busy for a while. Gavin: Are there any other plans in the works for either the store or the label at the moment? Anna: There are always plans, but timing is everything, so we aren't revealing anything. Gavin: Catching up with you locally, what are your thoughts on the Utah music scene now, both good and bad? Anna: It seems the scene is in a transitional period right now. Which is good and bad. A lot of long-standing bands that were wildly popular have broken up or kind of disappeared. There are a few strong ones holding on, but this is a great time for new developing bands to start making a name and growing a fan base. Anna: There is always more that can be done. Bands could tour more, fans could support bands more, we could use more venues or show opportunities. To create a successful scene there has to be a delicate balance of cooperation between artist, fan, consumer, and businesses. Salt Lake is always on the cusp, but there is always more we can do to support music in town. Gavin: Who are some of your favorite bands and musicians you've seen from 2010 so far? Anna: Beach House, Shearwater, Damien Jurado, Nick Jaina, David Williams, Sayde Price, and really so many more. 2010 is great for music. Anna: I honestly don't listen to the radio unless it is NPR. I'm usually at home or at the store and in both places I choose my own music. I prefer to listen to albums from front to back and on my own terms. So I'm afraid I can't really say what is going on in radio or how it affects local artists. Gavin: Being a music store, how much has file sharing affected you, both locally and nationally? Anna: Obviously file sharing is always going to affect record stores. We accept it as a reality and try not to focus our energy on it. We focus more on the fans that appreciate good art and the musicians who create it. Gavin: Speaking of, how have you gotten along with other record stores in the area? Are you kind of treated as comrades or more rivals? Anna: We work great with other shops in town. I think we all serve a niche market and there may be some crossover, but competition in the market is healthy and helps us all create better experiences for our customers. Anna: Expect more great music and great in-stores and awesome releases - you know, the usual. Anna: We've got two incredible releases available for pre-order on our website. Folks can reserve their copies of these works of art now on our website, and help us get the funding we need to produce the records.